Today I would like to share two of my favorite pieces from Dior's Spring Collection, Kingdom of Colors. I have swatched the pieces I have picked up and during the process, I was so excited to find out that the grey mono was not just another grey but it has lovely multi color glitters inside. It is so magical so is its name "fairy grey". After the honeymoon is over, it was time to apply it on the lids. 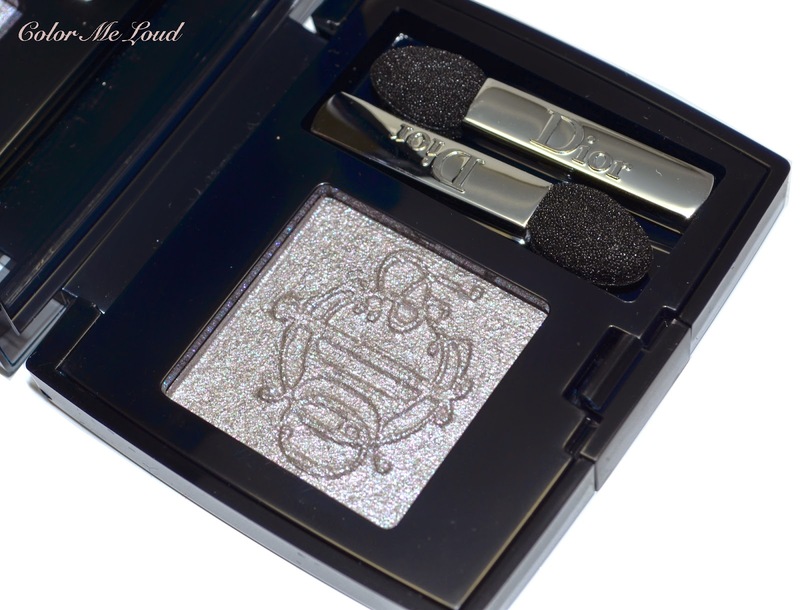 Fairy Grey has a certain transparency to it, which is great if you would like to pad it on to your favorite cream eye shadow. I will certainly try it over Benefit's Skinny Jeans next. However if you would like to build it up by itself, I recommend that you go for a wet application. Just spray some water (or something like MAC Fix+) on your brush and apply the eye shadow afterwards. Diorshow Monos have dry & wet formula and they become even prettier once applied wet. Below I am wearing Diorshow Mono #045 Fairy Grey all over the lid, MAC Brun on the outer corner and Chanel Stylo Waterproof Eyeliner Smokey Grey along the upper and lower lash line. Once more shot with flash to show you how it looked like under low lighting. Now tell me you wouldn't visit the restroom multiple times to enjoy its beauty! After all this "must have" speech, now I have to tell you something, this baby does fall out. So if you don't have any tolerance to that, it might be a deal breaker for you. The fall out during application can be prevented if you apply your base afterwards but it also produces fall out during the day. The glitter migrates under the eyes. I know many glittery pretty eye shadows do that, such like MAC's pressed pigments, so I somehow came to terms with it. 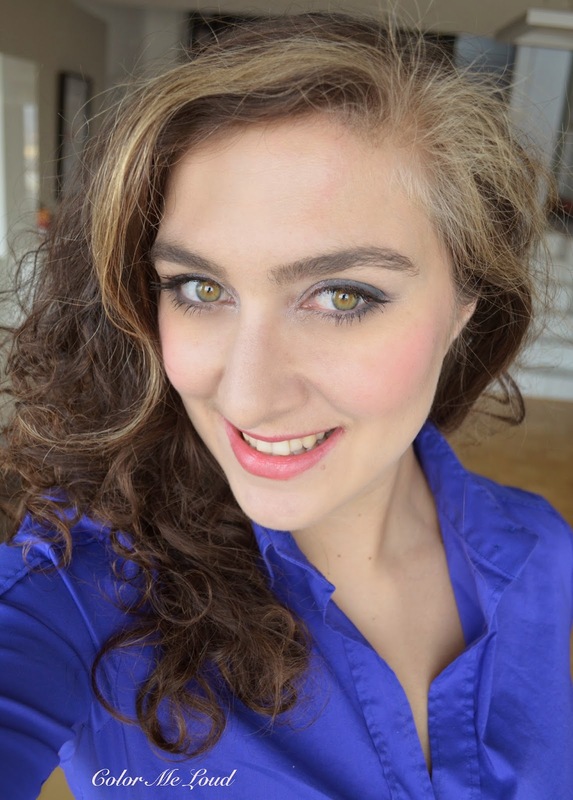 As for my first Dior Rouge Baume, I was very happy that finally I could try this formula. It is very light weight and moisturizing. It also stayed on me longer than I expected. But the best of it all, I love this shade, it is a lovely coral which is not too bright and doesn't wash me out (yes bright corals does this to me sometimes). Shirt is by Hugo Boss, I love the color at the moment. 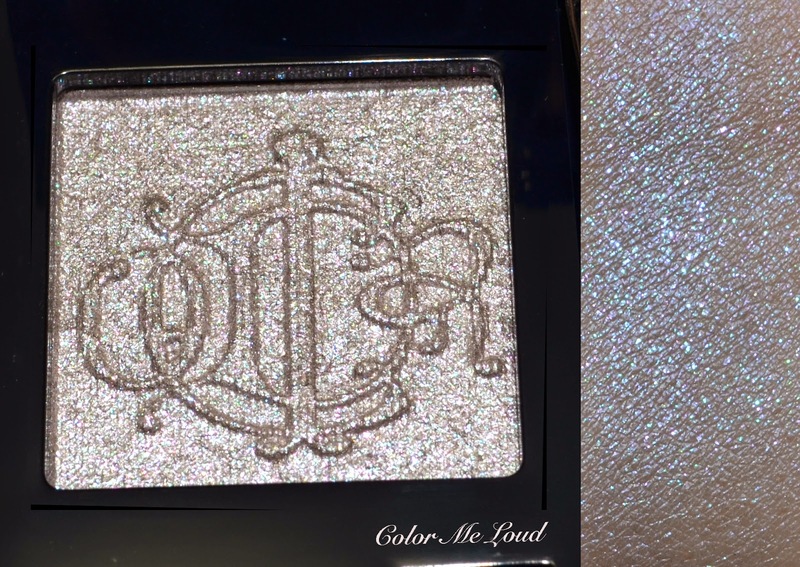 Final thoughts: If you can tolerate a bit of glitter migration through out the day, don't miss Diorshow Mono #045 Fairy Grey, it is really unique and so pretty. 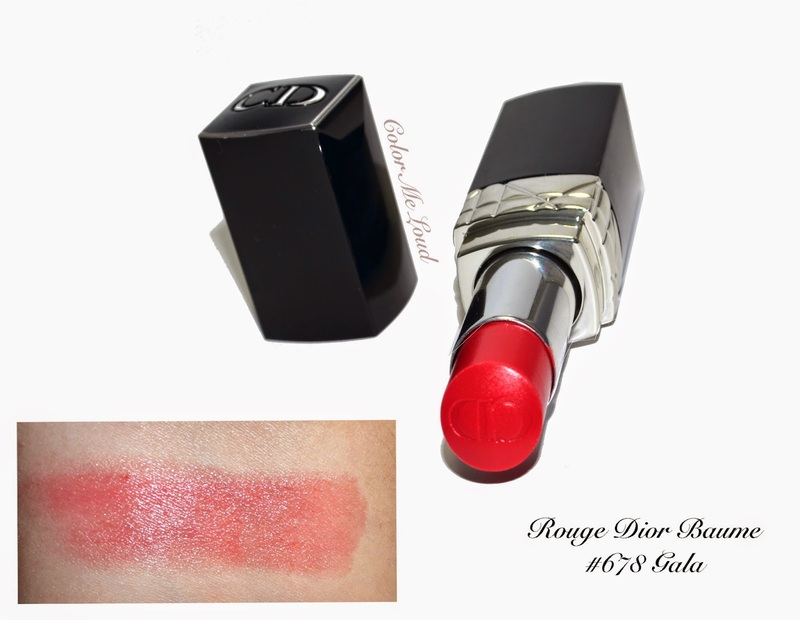 Dior Rouge Baume #678 Gala is a lovely effortless shade for everyday, which I will enjoy in Spring and Summer. Availability: The collection is going to be released in a week or two in Germany. Both of the items in this post might not be available to the States so if you see them please leave a comment below. What is your feeling about a bit of glitter fall out, would you tolerate it or is it a no go? It is soooooooo lovely, that Fairy Grey... But is not available here. Can you believe it? I'm just so upset. Wendy and I have been on the hunt sice we saw your pictures, with just no luck at all. once it is released I can get it for you two if you want, just let me know. I know how it is like to want something and not getting it. It happens very often to me. So maybe just hasn't been released? Well, that is super sweet from you. We will try to figure out if its going to be released here at all, if not, then maybe we can ask for your help. Will let you know... Thank you so much! That grey is simply perfection!! Oh my I was entranced when I saw the photograph on my feed! Really looking forward to it! It is gorgeous, everyone needs one! Where are you located? I hope it is released there as well. Hey Sara, I looove both pieces on you (and that shirt)! Not so sure about the fallout, but I can see why you're so smitten! I need to give Rouge Dior Baume another go. The one I have is definitely not the best in terms of pigmentation, which makes me feel very meh about the line. Gala looks so much better! I was expecting Rouge Baume to be sheer and this one was really nicely pigmented. I think there is a big difference in that range in terms of how pigmented they are, so I will definitely check out in person if I end up getting more of these. hi sara!!! you look gorgeous in that hugo boss shirt!! that is my favorite color...do you call that cobalt blue....royal blue??? maybe i'm totally wrong looking on my monitor. anyway, the whole look is stunning!! i will check my local dior counter but, i strongly doubt i will find fairy gray. i thoroughly enjoyed your review!! just gorgeous, the best yet!!! xo. I think cobalt blue is a nice description of this color. By the way I am just writing a review of a Burberry nail polish, names Imperial Blue, it is so close. I thought you might like that one if you like this color. It seems Fairy Grey is not released in US, but maybe it comes later as an exclusive to some store, who knows. I LOVE this entire look Sara!!! I'm apprehensive about fallout though... does it work better with a primer? Guess i've got to try this one out for myself... i love that sparkle!! I have tried it with Nars Pro-prime but I think a cream eye shadow as a base might hold the glitter much better. Since I have dry lids, it might also be just my problem, who knows. Get this one it is so unique and pretty. Lovely look-- and I am also noticing the Chanel Stylo liner-- what was the texture of that one? I really like the color. I find that some of them tug more while some are creamier. Smoky Grey was limited, I don't know if Chanel still has it in stock. It was from their Les 4 Ombres Collection. It is not particularly creamy though. I like the one which comes with the Spring Collection this year much better, make sure to check it out. How pretty! Do you think it would still have fallout applied over a tacky base like TF Glitter Glue? And is it sheer enough to look less cool-toned and more neutral if layered with a warmer color underneath, do you think? I think all that would work much better. I have only used Nars pro-prime and I have dry lids so it might be the reason for the fall out too. If you layer it over a warm base, it would certainly look much warmer. Yes lovely shimmer, very complex indeed. I love this look on you! I love how you combined a cool shade with a warmer one. The whole look is really beautiful. It's a shame that Fairy Grey has fallout. I don't think I could live with that, lol. It doesn't really matter though since it's not available here anyway. It's so stupid that Dior does that and releases certain things in certain countries. Ok, fiary gray is sold on me. Hi Lella, hope you enjoy it. 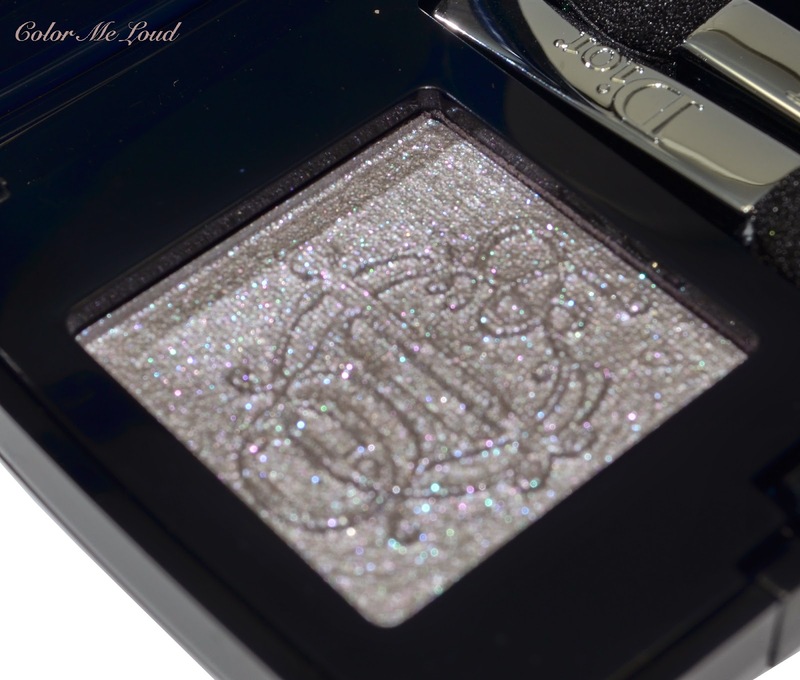 LOL Sara I wrote my review yesterday of Fairy Gray and although it's going on my blog later this week I have said some many of the things you have said-about using over a cream eyeshadow, a comparison with MAC pigments, how photos don't do it justice etc etc! I have even paired it with grey in my eye looks!! I hope if you read it, it's not too similar! Oh, Fairy Grey looks so pretty, but I don't think that we're getting it here. I has a sad. thanks for the swatches. 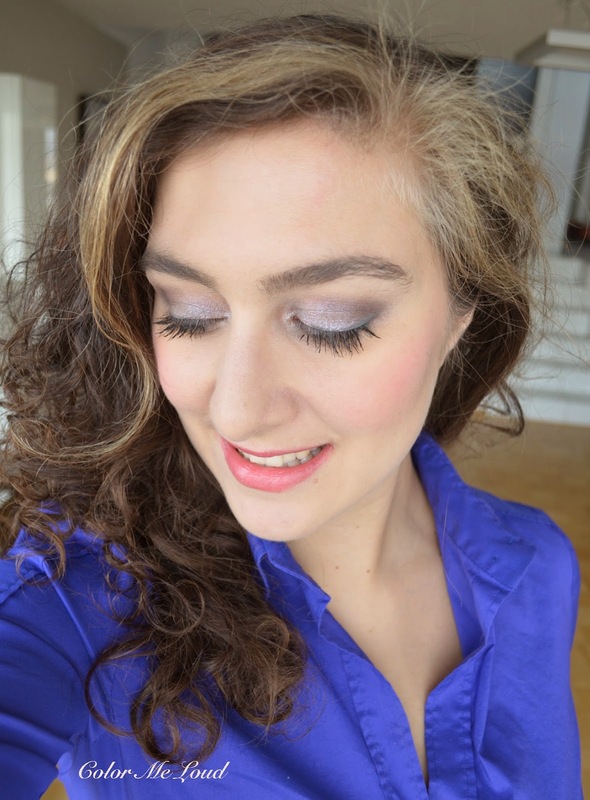 eHow is the wearing of the Dior Rouge Baume #678 Gala?